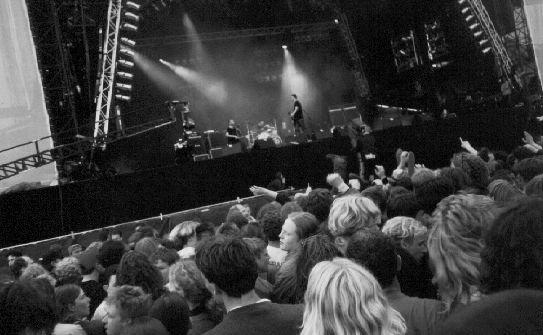 During the Pinkpop Festival in Holland in the spring of 1996, Therapy? gave an awesome performance in front of several tens of thousands of people. We were, ofcourse, there, took some pictures, and later managed to get our hands on some more material. All is revealed in our Pinkpop Picture Gallery. And if that isn't enough for ya', also have a look at Whaley's Pinkop '96 pics. 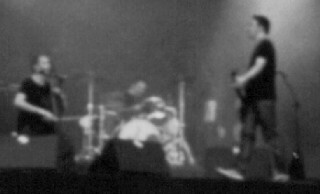 The greyscale pictures of the stage were taken and scanned by Max. We haven't got access to a color scanner right now, which is why they're in grey. Most have also been enlarged quite a bit, so they're also a bit fuzzy. Oh, and some of these pictures are copyrighted.